Two key Netanyahu coalition allies have endorsed Prime Minister Binyamin Netanyahu for an additional term as Prime Minister, following Tuesday’s general election. 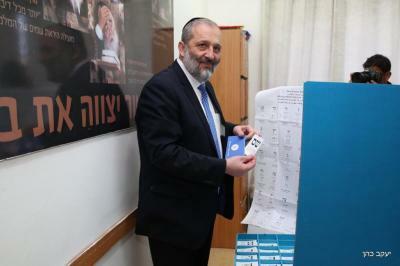 Shas chairman and Interior Minister Aryeh Deri and the Yahadut HaTorah chief, Deputy Health Minister Yaakov Litzman both spoke with Netanyahu after the polls closed at 10:00 p.m. Tuesday night, vowing to recommend Netanyahu as the next Prime Minister. To secure the premiership, a candidate must show the president that he or she has the backing of 61 MKs in the 120-member Knesset. Shas is projected to win between six and seven seats, while UTJ is expected to win seven mandates.